Before you can start selling cars in South Dakota, you'll need to get your South Dakota Motor Vehicle Dealer license. Note that any individual is allowed to sell up to five vehicles/boats in a 12-month period, as long as those vehicles are titled in their name and used primarily for personal, family, or household use. If you wish to flip cars for a profit, you will need to get a dealer license. South Dakota license plates for dealers are the ‘77’ plates. Any new or used vehicle owned by a licensed dealer bearing a dealer's ‘77’ plate may be driven on the streets and highways of South Dakota for any purpose. The dealer ‘77’ plate is transferable by the dealer from one vehicle owned by the dealer to another vehicle owned by the dealer. The dealer ‘77’ plate may not be used on vehicles for lease or hire or on wreckers or service vehicles. South Dakota license plates are $101 per set. There is a $5 mailing fee for each set mailed, plus a $1 decal fee if you need decals. The state of South Dakota has set the bond amount at $25,000. You won't have to pay the full bond amount to get bonded. In fact, you might only pay $250 for your bond. The price you'll pay for your bond is dependent on your credit score. This is a one-time payment, not a monthly payment. 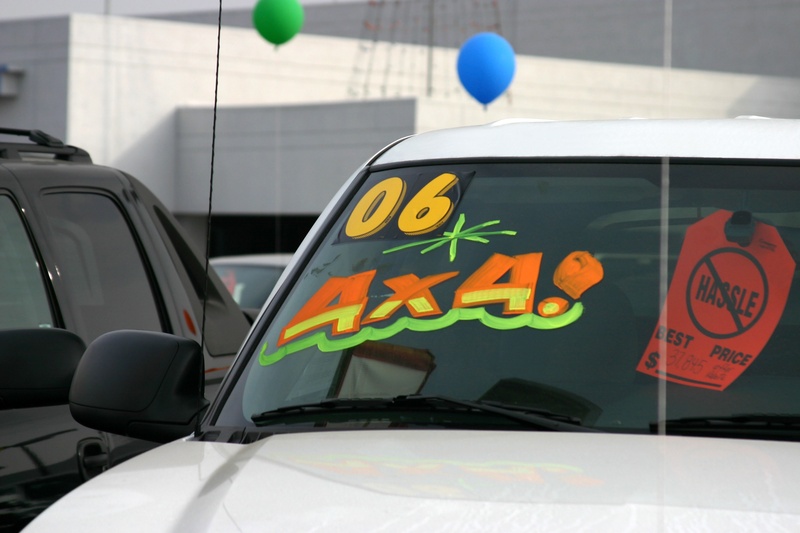 A South Dakota Motor Vehicle Dealer Bond is not the same as insurance. The bond actually protects your customers. The simplest way to think of a bond is that it is insurance for them, paid by you. If you fail to follow rules and regulations, someone can make a claim on your dealer bond. You can find out what happens if a claim is made on your bond. Upon receiving your application, the South Dakota Division of Motor Vehicles will send an inspector to conduct an on-site inspection of your place of business. Your place of business must meet the following requirements to pass the inspection. Once you pass the inspection, your application will be evaluated once more before being approved. You are not allowed to start selling vehicles until you have been approved for a South Dakota Dealer License. It normally takes a couple weeks for your application to be processed and reviewed. For more information about any of the above steps, you can contact the Motor Vehicle Information Section at 605-773-3541. You can also view the Motor Vehicle Dealer Requirements brochure. Your actual paper South Dakota Dealer License is issued for a five-year period. You should receive a renewal notice in the mail about 3 months before the expiration date. The renewal fee is $175. If you miss the renewal period and expiration deadline, you will, unfortunately, have to pay the initial $300 fee to renew your license again.